An American singer, film, television and stage actor, and female impersonator. Yesterday I highlighted the very famous female impersonator Julian Eltinge from the early 1900. Just this past May we lost a famous entertainer from our era - Jim Bailey. As a teenager I was watching the Ed Sullivan show with my grandparents and he performed. I do not think I had ever heard the term “female impersonator” but I was fascinated. Could a man actually look like a woman? Could a man actually successfully perform dressed as a woman? All questions were quickly answered and I was captivated. One of those aha moments! I had the pleasure twice of seeing him in person. Both were intimate cabaret settings and the intensity, detail and professionalism was remarkable. What an entertainer. From Wikipedia: Bailey appeared in over 70 television and movie roles, including appearances on Ally McBeal, Here's Lucy, Night Court, The Rockford Files, Switch, Vega$, The Tonight Show Starring Johnny Carson, The Ed Sullivan Show, The Carol Burnett Show, The Merv Griffin Show, Late Night with David Letterman, The Mike Douglas Show, The Dean Martin Show and The Joan Rivers Show. Bailey was introduced to and became friends with Phyllis Diller. Bailey learned to re-create the comedienne/actress's personality and later added her to his repertoire. 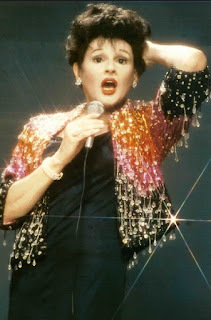 In 1968, Bailey moved to Los Angeles and put together a nightclub act with Michael Greer, performing at the Redwood Room, this time adding Judy Garland to his repertoire. When Garland herself came to see Bailey's show, she jumped up on to the stage and asked him to sing a song with her. Bailey agreed and the two sang a duet of "Bye Bye Blackbird", which Bailey had intended on singing as himself. The two later became friends, and Garland became Bailey's mentor. The two remained friends until Garland's death in 1969. In 1970, Bailey was booked in Las Vegas and became an overnight sensation. He appeared on The Ed Sullivan Show, which helped launch an international career. 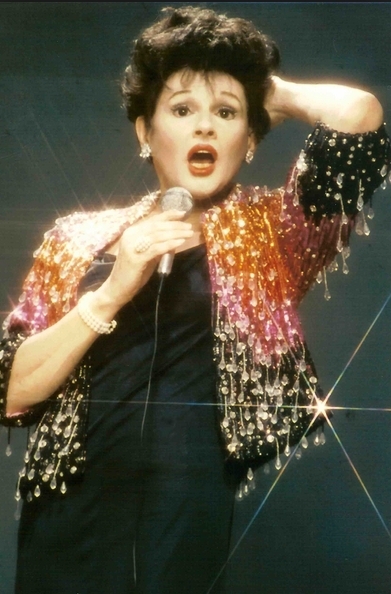 His performance as Judy Garland singing "The Man that Got Away" was such a phenomenon he was asked back a couple of months later to perform as Peggy Lee. He also performed as himself on both shows. From the Los Angeles Obituary, June 3 1015: Female impersonator Jim Bailey's onstage portrayals of famous entertainers were so uncanny — not just their voices, but also the mannerisms, costumes and hairdos — that sometimes people thought they were seeing the actual women. He hated being called a drag act, much preferring to be described as a "character actor" or "illusionist." He also didn't want to be known as camp. “It used to be, and it's still true in some sense, that a man puts on a dress for laughs," he said in a 2004 Times interview. "I did the opposite, and people were fascinated by it." If you had the pleasure of seeing him in person, as I did, please share your experience.